Located on 26 acres of open beautiful land, Shepard Meadows Therapeutic Riding Center provides equine assisted programs to children, adults and veterans who want to learn while having fun riding horses! Shepard Meadows Therapeutic Riding Center prides itself in being a positive environment where no matter your experience, age, or disability, you will be welcomed with open arms. All programs are led by professional PATH certified instructors, meaning you will not only have a lot of fun, but you will learn a lot and be safe at all times! Through their volunteers, staff, riders, and the animals, making new friends and having fun are never a challenge! Are you interested or have a child or friend who you think would love to get involved with a program Shepard Meadows offers? 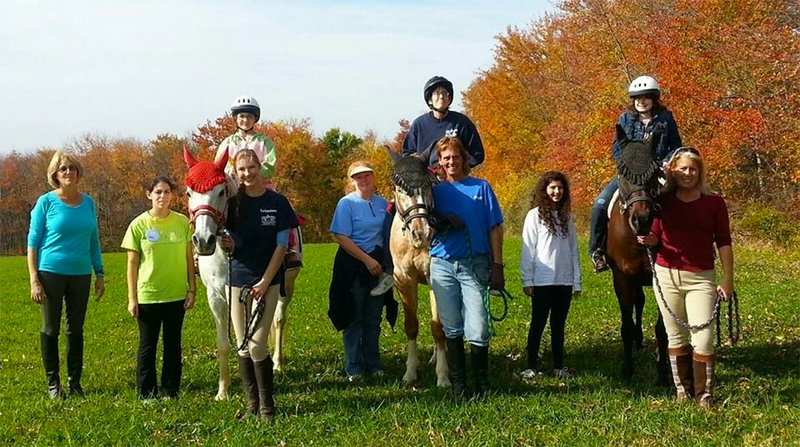 Schedule a visit to this inspiring Therapeutic Riding Center today. The majestic horses are awaiting you!